Railpictures.ca - Matthew Tozier Photo: NS C93 crawls through Fort Erie as it comes off of the International Bridge with NS SD70ACU 7245 in the lead, 7245 was originally a Union Pacific SD9043MAC rebuilt in Altoona, Pennsylvania. | Railpictures.ca – Canadian Railway Photography – photographie ferroviaire Canadienne. 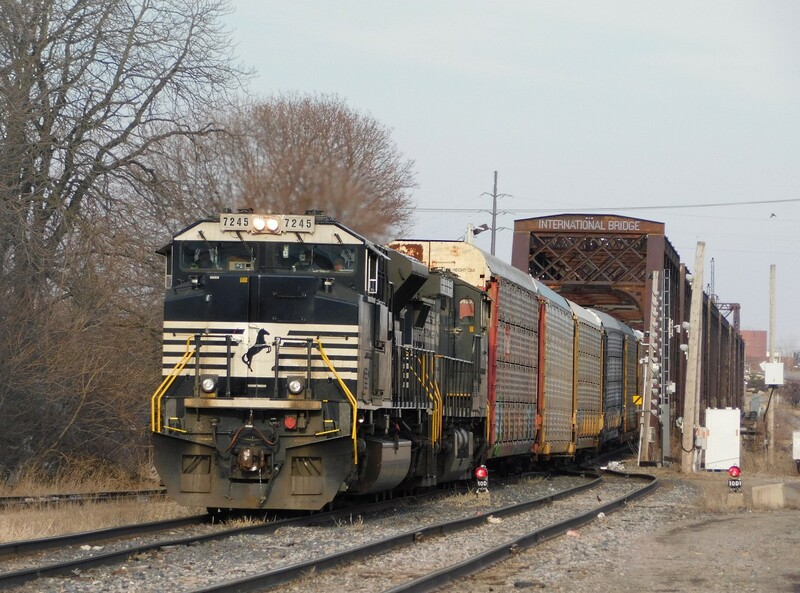 Caption: NS C93 crawls through Fort Erie as it comes off of the International Bridge with NS SD70ACU 7245 in the lead, 7245 was originally a Union Pacific SD9043MAC rebuilt in Altoona, Pennsylvania.